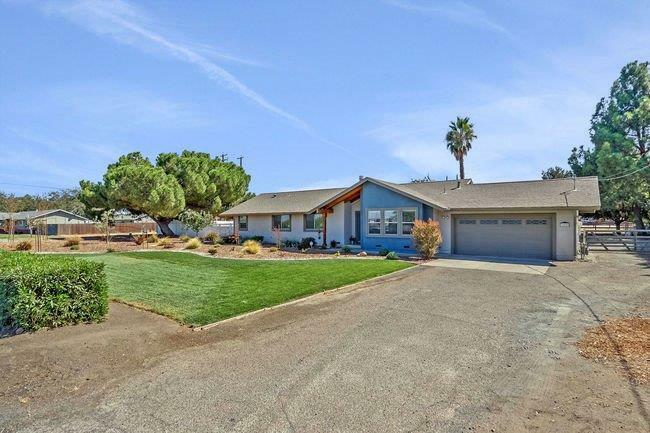 Exquisite country living estate located in the much-desired Santos Ranch Community! This stunning property is perfect for families and/or equestrian lovers. This beautiful, 1.5 acres boasts a large pool & spa, solar panels, duck pond, chicken coop, graveled trailer parking. Horse facilities include a 4-stall barn w/ large attached all-weather paddocks, a seasonal grass turnout, professionally installed 110x170 foot sand arena. Elementary school within walking distance, freeway access in minutes!